Derek visits Spring Valley for a special chat with his guest, Jonathan De Luzuriaga, a very established personality in the Philippines’ software industry. He is the President of the Philippine Software Industry Association, and one of the Board of Trustees of the IT & Business Process Association of the Philippines (IBPAP). He is the Founder and President of Spring Valley, the largest technology and innovation hub in the Philippines, which aims to be Asia and the Pacific’s answer to Silicon Valley in the US. 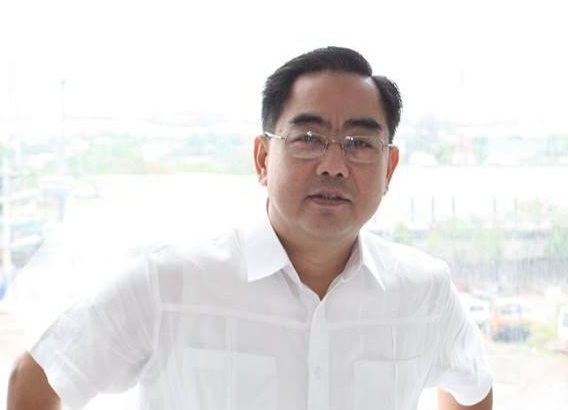 He is recently elected as the President of the National ICT Confederation of the Philippines. In 2008, Jonathan was given a directive to come up with an international event. The first version of it was the International Outsourcing Summit or IOS. From six countries it evolved into what is now called the International Innovation Summit (IIS). According to Jonathan comparing the Philippines software industry in the mid90’s to the mid-2000 is like comparing apples to oranges. There were only a handful of champions until the world market noticed the potential of the country in terms of offering IT and business process outsourcing services to the rest of the world, the USA, Europe and Asia. Jonathan shared that in the early years of the industry, geographical locations of services matters much to clients such that service providers in the Philippines have to hide where they are actually based to avoid penalty. With the evolution of the industry and with the country’s status as outsourcing service provider, there is now a growing acceptance of geographies and some clients actually insist on speaking with somebody from the Philippines. Technology is a great equalizer. Knowing this Jonathan projects that a number of MSMEs will come into the pipeline. Smaller companies can look into possible partnerships outside their jurisdiction, at the same time creating positive opportunities for the smaller and more agile service providers or solution teams to compete with big players. The outsourcing industry is strongly client-driven. Jonathan reveals that clients are asking for more at the least cost and this has challenged the Philippines’ service providers to be more creative with disruptive technologies. With the growing millennials entering the workforce, given the needed support and right environment, the Philippines can transition into a tech community. The growing acceptance of service geographies has removed boundaries to opportunities to do business with the world market. MSME’s can use technology as a great equalizer and there is a highly positive outlook for agile service providers or solutions team breaking into disruptive technologies. The outsourcing industry is strongly client-driven and clients are asking for more value for their money. Derek: Hi, and welcome to another episode of the Outsource Accelerator podcast. My name is Derek Gallimore as always and this is Episode No. 211. So, welcome. Today, I’m really excited about our guest. His name is Jonathan De Luzuriaga. He is very established in the world of outsourcing here in the Philippines. He was one of the early Executive Directors of the IBPAP, which is of course the official outsourcing body here in the Philippines. He is now President of the PSIA, which is the specialized association for the software industry. And, he is also the President of the NICP, which is the provincial internet communications technology association for the provincial towns of the Philippines. And no less, he is the Founder and President of Spring Valley, which is in Roxas City. I am actually interviewing Jonathan from Roxas City, sitting in Spring Valley. I was honored to be invited down there as a guest of Jonathan and we have a look at what Spring Valley is. It’s a center of innovation and it’s the Philippines answer to Silicon Valley. So, I’m really excited to explore this and honored to be invited down there by Jonathan. Anyway, we are obviously going to get an introduction from Jonathan himself so I’m going to allow you to get on to the podcast now. If you want any of the show notes, or get any more information about this, of course, go to outsourceaccelerator.com/211. Enjoy. Okay. Hi and welcome back everybody. Today, I’m super excited to have Jonathan De Luzuriaga. Hi, Jonathan, how are you? Jonathan: Very good. You pronounced that quite well. Derek: I know. I got it out at the start. And from now on, I’m going to call you JDL as most people do call you. So, thank you so much for joining us. We are in the incredible Spring Valley here in Roxas City. And you really are the incarnation of outsourcing and I’m super excited to have you here because really initially I have to deep dive into your vast experience and vast personal sort of observation of the entire outsourcing industry as it developed already. So, super, super excited to have you here. I supposed initially, can you just introduced yourself and tell people how you found yourself here in Spring Valley. Jonathan: Well, the journey has been quite interesting. My name is Jonathan De Luzuriaga. It’s quite a tongue twister so I managed to keep it down to three letters so people in there mostly call me JDL. I already had in the IT-BPM outsourcing world having been part of this for more than a decade now, in fact, during its inception when there were only about three or four third party outsourcers in the Philippines, I was already here. And currently I am the president of the Philippines Software Industry Association. I have also just recently been elected as the President of the National ICT Confederation of the Philippines, which is an association composed of about 80 plus ICT Councils all over the Philippines. I was formerly an executive director with what is now known as the IT and Business Process Association of the Philippines. And I’ve had several runs in terms of managing operations with the various BPOs in the country. Derek: That’s incredible. That’s an incredible journey. And I was honored to be speaker of the IIS, which is the industry summit a few weeks ago. And you were the founder of the summit, in fact. Jonathan: I was given the directive way back 2008 to come up with an event that had an international flavor to it. Hence, we called it the first version of that would be the International Outsourcing Summit or the IOS and it was incredible. We grew from six countries represented to what it is now. Eventually, it evolved just like everything else in the IT-BPM summit. It became the International IT-BPM Summit, and now it’s currently called the International Innovation Summit. Derek: And we were speaking before but things are evolving now and dramatically within outsourcing and what the definition of outsourcing is. You were the Executive Director of IBPAP and for those that don’t know that’s the official trade association, the official body representing outsourcing, which is the major sector here in the Philippines, and you’re now the president of the software association of that. But how did it all begin? Like what was your introduction into outsourcing, and I supposed initially when you first came across outsourcing, what did it mean to a younger version of you and where outsourcing was in the industry at that time? Jonathan: Well the straight answer was, I didn’t know anything about it and I guess it’s pretty, it’s pretty safe to assume that most of the country didn’t know what outsourcing was towards the latter part of the 90’s. It took some effort to actually explain to your relatives specially to your grandparents that you work in a contact center, you work in a BPO. The concept was just totally strange too. Derek: And it’s a little bit frowned upon it. Yeah. Derek: And what was then like between ‘90, they say ‘95, ‘94 and 2004, must have been huge growth. And was it only then that Philippines is realizing they’re probably onto a pretty good thing here that this could be a boom-boom industry? What was the feeling about outsourcing in 2004? So then they experiment somewhat, and say why don’t we give them a shot at servicing some of the requirements for North America and Europe? And I guess that was the part when we basically convinced the entire world that the Philippines has a pretty good tendency to become really big in this outsourcing world. And I guess the challenge then was really to promote it both internally to the talent that is necessary to grow the business and also to announce to everyone else. I’ve gone through several experiences in the past wherein I had to explain where the Philippines was, right? Some people thought that we were part of Mexico or somewhere in Latin America, and that then itself is a challenge. Apparently, it’s getting better. And going back to your question, where in the mid 90’s to the mid-2000. It’s even, it can’t even be compared. It’s apples to oranges. We had just a handful of champions sometime late 90’s and then everybody started realizing the potential of the country in terms of offering these services to the rest of the world. Not only to, apparently in North American clients, but also to the European clients, even to certain parts of Asia and the Pacific. And when that machinery started rolling, you could see such tremendous uplift, not only in terms of the industry numbers but also in the lives of the people that it affected. Before, it was pretty much an experimental approach that we were getting into. And now as you can see where we are, it has really created a very fulfilling careers for my countrymen as well. Derek: Yeah. And before, I think everyone was just sort of feeding it up and now there’s 25 years of executive experience of continual process improvement. So it really is kind of 25 years of expertise now, isn’t it? That people are buying into when they outsource to the Philippines. Jonathan: That’s correct. And on the other side of the equation, the acceptance of the geographies that we’re servicing is also quite open now. I came into the industry wherein we had to lie through our teeth where we were. We have to pretend that we’re somewhere in the downtown part of a small office in or business district in Texas, just so we could still maintain that account and we were actually penalized by the client, if we actually blurt out that we’re in the Philippines. Now, it doesn’t really matter. In fact, some of the stories that those people who are still in operations are telling me that there are clients who actually insist that they speak to somebody in the Philippines and they will really push that particular agenda and saying, are you in the Philippines? How’s the weather there? It must be the middle of the night for you guys. Derek: It’s evolving so much. I think actually that’s because, I supposed the Philippines is getting better at what they’re doing, but also people are just more accepting of a globalized workforce now. People in Texas don’t expect to be completely served by people in Texas anymore, do they? Jonathan: And I think we’ve been trying to protect the reputation in terms of the services that we deliver from the country and somehow with the best practices of the West being implemented here, and then there’s a natural innate culture of the Filipinos to be really accommodating sometimes to a fault. But I guess it helps when you’re trying to grow an industry such as the outsourcing and the BPM sector. Derek: Yeah. And so, back in the day it was predominantly the big boys. I would imagine as in the big, the clients were huge. There were the big multinational, say the big logos brands, and did you ever experienced, it’s a double barrel question, but did you ever experience kind of an SME coming over here back then? And also, it was predominantly voice, it was predominantly customer service. So how do you see the change now in the last 10 years in terms of the client profile, but also what we’re doing in terms of broader professional services now? Jonathan: It is definitely a huge change before the parameters in terms of engaging and let me set the context straight first. 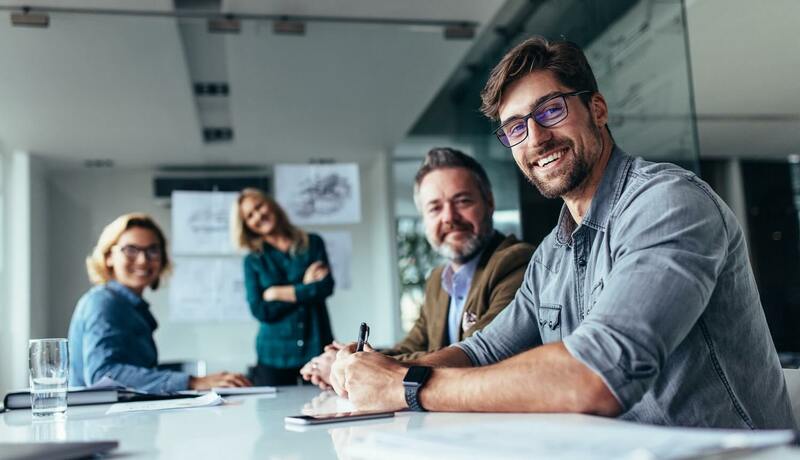 The ones who are coming in here where the large third-party providers and then you’ve got the Fortune 500 companies who found a home here in the Philippines in terms of addressing their back-office requirements mostly on the voice side. So several things are happening in the atmosphere now. Derek: Why was it only accessible to the Fortune 500? Was it just because it was such a heavy infrastructure spending, you really had to meet with a few thousand people to get here or was it just unknown to SMEs? Jonathan: Right. I guess the flavor of digitalization as we see it now, was that it’s really so prevalent anywhere else in the world. So if you could just survive with, we’re talking about MSMEs, even in the western part of the world that are still using typewriters. Jonathan: And now, everything has to be digital and the cost of technology then was also quite heavy. I came in at the point where in a leased line, for instance, could only be afforded by programs that are running 500 seats and above. Unlike now, thanks to advancements in VoIP and the different variations of such, it’s fairly easy for you to communicate. It was really a huge challenge in terms of getting MSMEs to understand that there’s somebody on the opposite side of the globe that is basically going to answer all your pain points. So it was really for the bigger, more adventurous companies. Jonathan: I think there’s nobody else is going to come into that pipeline except for the micro small, medium enterprises of technologies. Technology is the great equalizer. Even the bigger ones. There are several studies that come out right now, it’s available anywhere if you just Google it, that even the length of survival of the brand and brand equity has become so much shorter. Several changes. First, even if you look at the US for instance, the top companies now are no longer the traditional companies that used to dominate the pole position. You’ve got petroleum companies and you’ve got retail chains and so on. Now it’s the technology companies that are coming in. And the churn of the much bigger brands is more active now than it was before, or at least in the past 50 years. Derek: And everything’s cheaper, isn’t it? I heard the other day that Netflix is responsible for 15% of the Internet’s traffic but they don’t own one server. And that would’ve been just unheard of. They just rent space from Amazon or whoever has capacity and things are just more nimble, more agile and more kind of flexible now. Jonathan: That brings me again to my point wherein technology is the great equalizer. You’ve got companies like Blockbuster who are no longer in business now because then again, you’ve got the Netflix of this world and several other competitors that are tugging at their coat tails. You look at hotels, it’s the same thing. Booking.com had this conversation several times in the past, they don’t own real estate and there are a lot more, Uber doesn’t even own their own fleet, right. So, I guess with that particular change, and I still believe it’s a change for the positive. It gives now the smaller companies, the ability to look at partnerships outside of their particular jurisdiction. And at the same time it also gives smaller service providers the ability to compete. Something which was once reserved for the bigger services providers are now being challenged by smaller, more agile solutions teams. Be it your traditional BPO or something that is more tech related. Derek: And that’s one of the avenues for the clients in the West, isn’t it? Because you’ve now got BPOs, more accepting of taking two seats or three seats. Whereas previously you wouldn’t really start a conversation for less than 500 seats. So everything is getting more flexible, which is helping everyone. Yeah. Jonathan: I think everyone’s qualification’s grid or filter has now just been shredded. These things have changed so fast. I don’t think anyone has really anticipated of the effect of digital to permeate in traditional industries. And we in the technology sector, we thought that we were head and shoulders above everyone else. But even players within my field, they are feeling the importance of really looking ahead of the curve and trying to predict what’s going to happen. Derek: Well, let’s touch on that then because previously they referred to outsourcing as the sunrise industry. It was the kind of economic savior of the Philippines or certainly a big catalyst to it’s now prominence and success. Now they’re calling it a sunset industry. People are talking about a lot of attrition, plateauing, where do you see the industry and this is bringing new challenges, isn’t it? Because I think everyone that is going to outsource is already doing it certainly within the big Fortune 500. What is the kind of a climate at the moment of outsourcing as you see it? Jonathan: Well, the world, the outsourcing spectrum is really a very client-driven environment. And now that the clients are asking for more with less head guard, cheaper cost, it only prompts all of the service providers that are operating in the Philippines to become a little bit more creative. Iterate more and go knee deep into disruptive technologies. That being said, we could still see a very positive growth. And please bear in mind that the usual 15% and above growth that we could see was actually because we were coming from a very small base. Now we’re talking about more than a million people, more than US$ 25 Billion in terms of annual production. And obviously there’s going to be some contraction in terms of percentages. But that being said, there’s still positive growth in the industry. Jonathan: And the Philippines is quite unique that just based on two industries, the overseas Filipino contract workers, remittances or the production on their site, and then the IT-BPM sector, you’re looking at almost US$50 Billion that comes into the Philippine economy year on year. But it doesn’t escape the fact that if we do not try to find ways to change our game plan, it will be adversely affected within, even within the near term. So the key is really to work at where we’re good at, enhance that and then try to go through an aggressive upscale rescale program. These technically speaking, you’ve got a one million plus workforce, 1.3M, there about. Just to be a little bit more specific about it. That are tech savvy already. That could communicate very well. Hopefully they have developed critical thinking in the number of years that they have been exposed to this. And more importantly, this workforce is already been accustomed to servicing other geographies. Be it the US, the UK, Australia, New Zealand, or other geographies that are being serviced out of the country. So it’s now just a question of what’s next. What would be the biggest head count? Now you managed to ask a question regarding the MSMEs because I think that would be a huge area that could be leveraged by this country in terms of adding to its stellar growth for the past 5, 10 years. Traditionally we would go after the huge brands, the huge logos. But now I think the growth potential of making the Philippines as a hot bed for small and medium companies in the US who would want to behave a little bit faster than their competitors. I think that’s a marriage made in heaven. Derek: Yeah. And I want to get you back so we can really deep dive into Spring Valley, what you’ve done here. But yeah, you’re right. The outsourcing is evolving. But also the way that we do business is evolving because it’s all, everything is oriented around tech now and innovation and disruption and you’re doing that here in Spring Valley. But how do you see it in society generally? Do you see a growing appetite for startups, for innovation? The kids are all talking about doing tech startups funding. Do you see that in the Philippines as a kind of budding tech community? Jonathan: Well, the country has always been very services oriented, but right now I think with the new workforce that’s coming in and getting into the bottom part of the millennial generation that’s entering the workforce, there’s a larger appetite to create rather than just the service. Hence one of the reasons why I started going around the idea of creating an atmosphere here that is going to cater to this. It’s because even big companies, the traditional companies that has been calling the Philippines home for the past 10 years or so, they’re also looking into placing small bets into these new ideas. And again, it’s client-driven. If their customers are looking for something new and it takes them quite an effort to get into that R&D mindset, or even develop the research and development capability of their respective organizations. It’s much easier just to go to a place wherein you could just go fishing and all of those ideas just pop in. So that’s the changing landscape in terms of everything else. Honestly, there’s a lot of very traditional BPOs who have approached me and asked and sought my advice in terms of how could we now transition into becoming a tech company. Derek: It’s critical, isn’t it? But I think every company in the world struggles about keeping innovation alive and not just becoming kind of dead and stale. Jonathan: That’s correct. That’s correct. And it adds to some of our challenges here as well because for a company that has always been an opportunistic in terms of existing practices already and procedures. At this day and age, you really have to think for yourself and not just wait for orders to trickle down and a particular work to just cascade down into your mainstream. Derek: Yeah, absolutely. And then so, give the audience a taste of what Spring Valley is. And I’m lucky enough to be visiting this and I’m very humbled for being here. Yeah. To be hosted. It’s an incredible ecosystem that you’re building here. But what is it? What is Spring Valley and why, and why now? Jonathan: Well, again, going back into the concept that, or the reality even, that the Philippines is so services oriented. The mindset of entrepreneurship hasn’t really found solid footing in terms of the general mindset of the population. So I was thinking maybe it’s because there’s really no venue that would cater to such creative passions and a nurturing environment in terms of building something, be it software or a BPO solution. So, in a nutshell, I wanted to build something like Silicon Valley in the US, but then again, we’re in Asia, so I have to have some tweaks in order for this to cater and to be more understandable and digestible to the local way of thinking. Hence, I found the spot outside of the metropolis wherein, take away all of the noise that the metropolitan areas usually present. And I decided to approach it with a conscious effort to create more technopreneurs in the country and find solutions to certain problems without really looking into asking the bigger players to come in. And I think we’re making a dent now. It’s always been a year that we’re going at this. There’s a lot of disruptions that are happening. We’re getting a lot of attention as well, both locally and you know, even from a regional standpoint, hopefully things would vastly improve from here on. Derek: Yeah, that’s super exciting. And as I mentioned, I’m here, I’m visiting and it really is. And I think this is what’s so exciting about Asia. And why I’m here in Asia is because you just see, you see a youth. You see so much drive, so much energy within the communities here. And this is being built from the ground up and it’s just incredible to see such energy and things springing up such as Spring Valley. It’s really remarkable. Jonathan: I’m actually thankful, number one for your presence here. And even the first time that I met you and looked into the value proposition of Outsource Accelerator and I was thinking to myself, we need more of these. The greatest validation of countries is that if people from other nations actually see the value of what you deliver from a particular location and they become your mouthpiece. It somewhat more believable that way rather than all of us locals just trying to look at each other and pat ourselves on the back. So, I’d like to show my appreciation what they’re doing to my country as well. Derek: No, I appreciate that. And I really think that outsourcing is this golden goose for the Philippines. And I think that the Philippines maybe takes a little bit for granted and maybe the world. Well the world is not aware of it so, I’m on a mission to really promote it as the Swiss banking of outsourcing and really big size, as a huge opportunity for the world and also for the Philippines. Jonathan: That’s right. Even if you rewind 10 years ago and I was asked the same question, I’d always say, “We’ve been ready for this opportunity technically all our lives.” When we look at the very colorful history of the Philippines, some of it might be a bloody and messy. We’ve gone through several challenges in the past as well, a bit under Spanish rule for practically 300 years and then under the Americans, and then under the Japanese. And somewhat, we could laugh about it now, obviously, they couldn’t laugh about it then. But that makes for a very subservient culture that technically works wonders right now that customer service is basically getting challenged all over the world in fact. So, if you find that small island in the Pacific that everybody’s smiling and everybody would want to go the extra mile, that’s very refreshing, especially for more hectic western environments. It’s a breath of fresh air. Thank you for spreading the word around. Derek: Absolutely. And thank you so much for your time. So we’re going to get you back to, we want to deep dive on Spring Valley. But if anyone wants to find more about you or about Spring Valley in the meantime, how can they get in touch with you? Jonathan: Well, the Facebook page of Spring Valley is very active. It’s Spring Valley Technology and Innovation. You can drop me an email at jdl@springvalley.tech. Derek: Fantastic! Thank you, JDL. Of course, we’ll have all of that in the show notes. Jonathan: It’s always a pleasure Derek. Derek: Okay, that was Jonathan De Luzuriaga of Spring Valley, and PSIA and NICP. I trust you enjoyed that conversation. If you want any of the show notes, of course, go to outsourceaccelerator.com/211. And as always, if you want to contact us, please just send us an email to ask@outsourceaccelerator.com.